It seems like there are always new diet trends hitting the health space, and along with those trends come a plethora of supplements that make promises which may or may not deliver. The ketogenic diet is no exception. 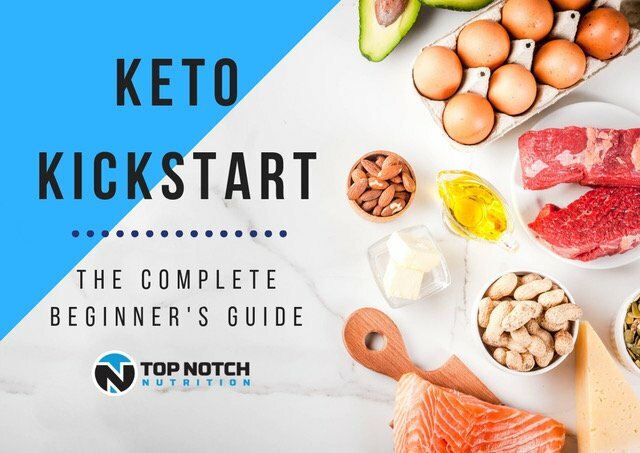 There are countless products available that are said to enhance the ketogenic experience, and we understand that this can be extremely confusing and overwhelming to the consumer. Our goal is to help clear up some of the confusion, so that you may determine for yourself if ketone supplements are something that will work for you. We will provide a brief explanation of the ketogenic diet, ketone bodies, exogenous ketone supplements, and how to determine if ketone supplements work. The ketogenic diet is a high-fat, moderate-protein, very low-carbohydrate diet. When you eat something high in carbs, your body produces glucose. Glucose is the easiest molecule for your body to convert and use as energy, so your body uses it first. On a high-carb diet (the typical U.S. diet) your body doesn’t require to use consumed fat for fuel, so it becomes stored in the body. However, by lowering your carb consumption, your body is forced to find a different energy source. And when your body starts burning fats for fuel (instead of carbs or proteins), you enter into a state known as ketosis. Ketosis is a natural, metabolic process that occurs when our bodies lack carbohydrates and then turn to fat for energy. As a part of this process, fat is converted into ketones (similar to how carbs are converted into glucose), which the body can use as a readily available source of energy. To keep it simple, all you need to know is that there are 3 types of ketones produced by your body. During a process known as ketogenesis, a ketone body called acetoacetate is produced. That is the first ketone produced. Over time, the acetoacetate in then converted into two additional ketones/ketone bodies. The first is known as Beta-hydroxybutyrate, or BHB. This is very efficient source of fuel, and one which studies have shown your brain actually prefers as a source of fuel, as it is much more efficient than that of glucose. The third ketone is known as acetone, which is mostly excreted as waste and the said culprit of the infamous keto breath. The most popular type of ketone supplement on the market is known as exogenous ketones. Exogenous ketones are simply ketone bodies that are ingested through a nutritional supplement, whereas ketone bodies produced in the liver are referred to as endogenous ketone bodies. Most exogenous ketone supplements rely on BHB to produce their desired results because of its efficient conversion into energy and its ease of formulation, as well as the body’s ability to efficiently convert BHB to acetoacetic acid effectively raising blood ketone levels. The presence of BHB in your blood boosts and maintains ketosis, so that your body can continue burning stored fat for optimal energy production and other benefits, such as weight loss. When doing your research on various ketone supplements, you will discover many claimed benefits of such on a variety of keto websites. Some of these will include, but are certainly not limited to, increased fat burn, accelerated weight loss, improved mental performance, increased energy, enhanced mood, improved athletic performance, appetite suppression, decreased inflammation, improved quality of sleep, ease of achieving ketosis after “cheat meals”, decreased keto flu symptoms, etc. Exogenous ketones are supplements that are said to help the body achieve ketosis more quickly and efficiently than diet alone. Sounds great, right? 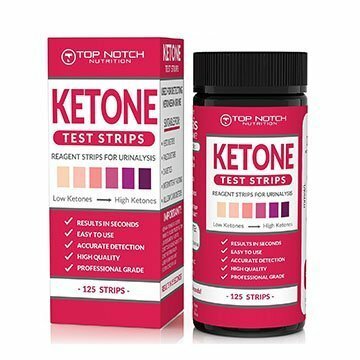 But do these ketone supplements actually work and do what they say they will? We are huge advocates of nutritional ketosis. As previously explained, our bodies produce the ketones needed to use fat as fuel if a keto diet (low carb, high fat) is strictly followed. From there, we believe that quality exogenous ketones will amplify the effects of the keto diet. Personally, we would steer clear of any supplement claiming that you can eat “whatever you want” and still maintain ketosis. For example, Real Ketones promise that by taking their product, Kegenix Prime, you can “say goodbye to restrictive, hard to follow diets” (in reference to keto) and “let Kegenix do the work for you”. Another company, Pruvit, claims that “ketones make the fat melt off your body” in this promotional video. It also claims that if you wanted to reach ketosis naturally, you would either need to work out 10x harder and longer or be like one of the “extreme people” who “bio hack their bodies” to get into ketosis, which “can take weeks or months”. We find this type of marketing to be irresponsible, and again, believe that nutritional ketosis is best. It has so many health benefits, so it is very advantageous to do the work and change your lifestyle. Clearly, as with any supplement you may be considering, it is imperative to do your research to ensure that what you are buying has quality ingredients that will produce the results they claim to produce. If you do, you will find that ketone supplements work. There are a number of things to look for when considering a ketone supplement. First and foremost, we always look for companies that offer a 100 percent satisfaction guarantee – or your money back. Why, you may ask? If companies are producing products that perform as they promise and contain the ingredients they advertise, they should feel confident that the majority of their customers will be satisfied with the product. A money-back guarantee demonstrates the confidence the company has in its product and the results you will enjoy by using such product. Quality ingredients are also imperative when considering supplements. These ingredients should be clinically proven to produce results. Exogenous ketone supplements should most certainly contain BHB, sodium, potassium, magnesium, and calcium – all of which speed up the process of ketosis and help balance electrolyte levels, which tend to drop on a keto diet. They should also be low calorie (50 calories or less per serving) and low carb (1 gram or less of carbohydrates per serving). We also look for supplements that do not contain artificial sweeteners, binders, additives or preservatives and those which are gluten free, dairy free, non-GMO, and vegan. We like to enjoy a clean and natural diet, and we feel doing so, combined with our high fat and low carb lifestyle, promotes nutritional ketosis. Now that you know what to look for, you may be wondering how exogenous ketone supplements work. Most exogenous ketone supplements come in powder form, which you mix with water, and drink almost immediately. When drinking them, you are basically putting ketones into your bloodstream, kind of like taking a shortcut to the process your body naturally goes through when experiencing ketosis. These ketones have a variety of effects after consumption. The most desired effect is the supplement’s ability to elevate ketone bodies in the blood. 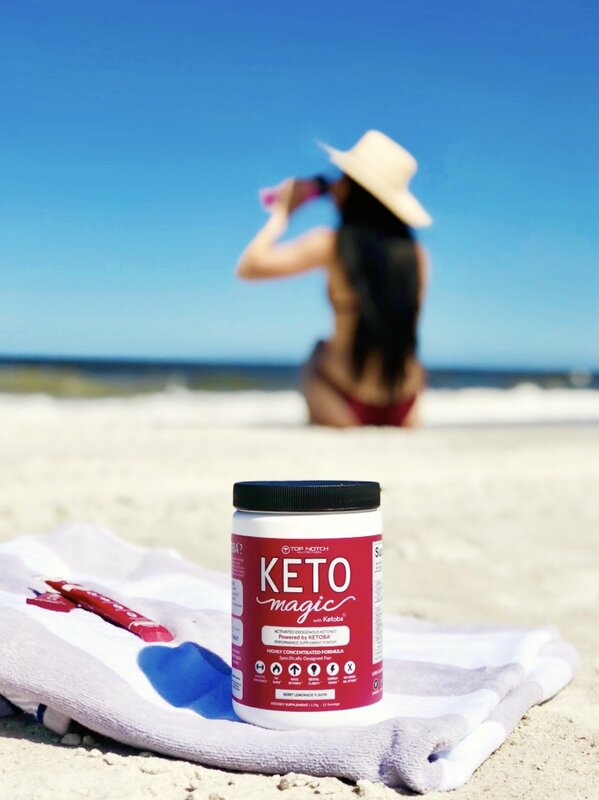 When using Keto Magic, our own exogenous ketone supplement, we experience reduced hunger and cravings, increased energy, increased athletic performance, and improved focus. These benefits are in alignment with advocates of quality exogenous ketones. Do ketone supplements work? To know if a particular ketone supplement works, there are a number of ways you can test to see its effect on your body! The first and probably most accurate way is to test your blood ketones. 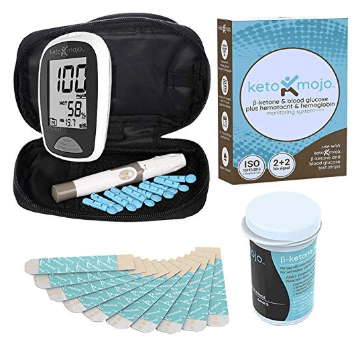 Products such as Keto Mojo allow you to test your blood ketones before and after consuming a supplement to see how it directly impacts your levels! All you need to know is the acceptable ketone levels in a healthy person. According to Keto Mojo, there are various quantities that either indicate low or high presence of ketones in the blood. High ketone levels are indicated by a measurement above 3.0 mmol/L of ketones optimal ketone levels are indicated by a measurement of 1.6 to 2.9 mmol/L, and measurements of 0.5 mmol/L indicate very low levels of ketone in the blood. So, if your baseline measures at 0.5mmol/L, and you retest 30 minutes after taking an exogenous ketone supplement with a measurement of 2.8 mmol/L, that’s a pretty good indication that the ketone supplement works. Urine strips are the cheapest testing option, and they allow you to test your ketone levels in a few seconds. You simply urinate on a test strip and read the results by comparing the color the strip turns to an indicator chart on the bottle the strips come in. This process isn’t as accurate as testing your blood, however, as the longer you are in ketosis, your body adjusts and optimizes how it uses excess ketones. Consequently, levels may not register accurately on a strip. If you’re using them to start your journey, however, they are a great choice, and a wonderful way to determine whether or not a ketone supplement works! Another way to determine if an exogenous ketone supplement works is to perform a specific workout one day – for example, performing reps to exhaustion of jump squats, and doing the same workout the next day AFTER taking the exogenous ketone supplement. Note any differences in how you feel during and after the workout, paying special attention to how many reps can be completed before reaching exhaustion. If a ketone supplement is working, you should notice an increase in ease and reps after the supplement is taken. You can also pay attention to overall mood, energy levels, and ability to concentrate following supplement consumption – all of which are likely to increase if the supplement “works”. do you need ketone supplements? Here are a few specific ways that exogenous ketone supplements can really help someone on their ketogenic journey. First, one of the most common side effects of the keto diet is the infamous keto flu, or induction flu. It can hit hard for 2-3 days after starting keto, but side effects rapidly subside as your body adapts and you start burning more fat. Within a week, they are usually gone. 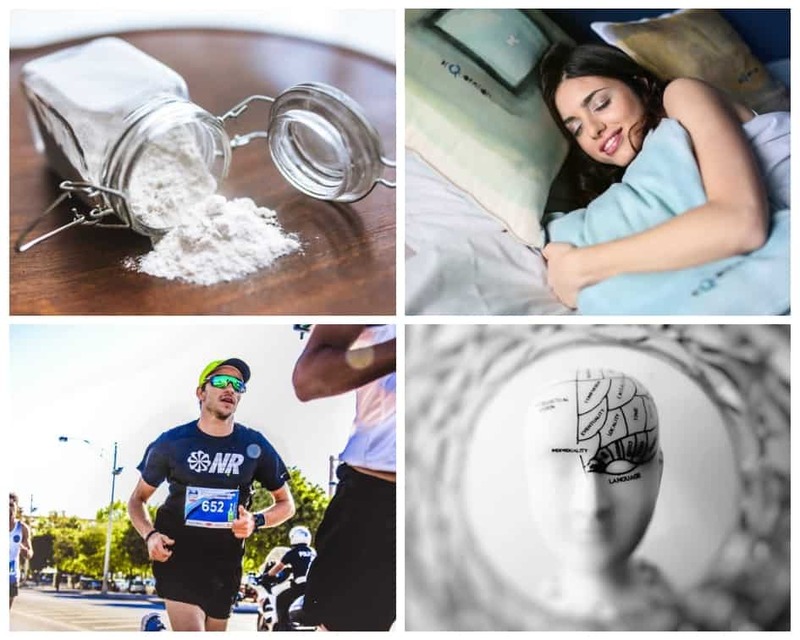 Some people really struggle during the first week, though, with the most common symptoms being headache, fatigue, dizziness, nausea, and irritability. 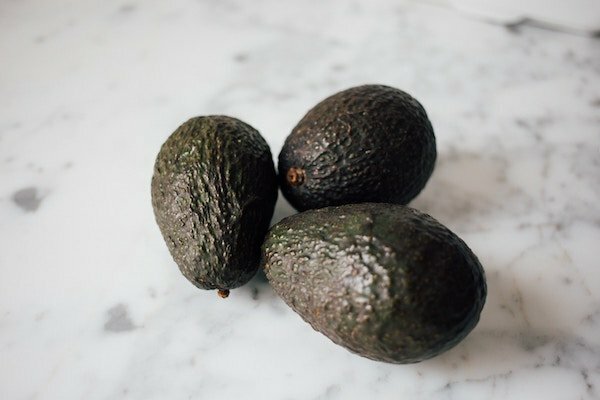 Why do people get keto flu? Carbohydrate-rich foods may increase water retention in your body. So, when you stop eating high-carb foods on a keto diet, you lose excess water and salt through your kidneys. This causes you to urinate more frequently and can result in dehydration. You can minimize keto flu (or even eliminate it) by drinking exogenous ketones, which provide the essential electrolytes that you lose during the frequent urination. Another way exogenous ketone supplements are beneficial are by acting as a craving crusher, as they are a natural appetite suppressant. This is especially helpful for people with strong carb and sugar cravings, who may find a keto diet WITHOUT supplements just too hard. We find that when people add exogenous ketones to their diet between meals, they experience less cravings and urges to binge on non-keto-approved foods and find it easier to stay dedicated to the ketogenic lifestyle. Finally, although we don’t personally don’t promote cheat meals or carb ups, everyone practices a ketogenic lifestyle differently. Once you’ve been eating keto for a while, you may find it possible to eat a carb-heavy meal and bounce right back into fat-burning mode with the help of an exogenous ketone supplement. Overall, we recommend looking for quality, money-back guaranteed, clean exogenous ketone supplements and testing your own personal results to determine if they work for you. If you desire to take your keto diet to the next level – enjoying increased energy, enhanced mental clarity, and reduced appetite, exogenous ketone supplements, such as Keto Magic, are an excellent choice.